From his experimentation in commercial art and mechanical print design to comic book imagery and advertising, American artist Roy Lichtenstein became one of the world’s first renowned leaders of the Pop Art Movement. 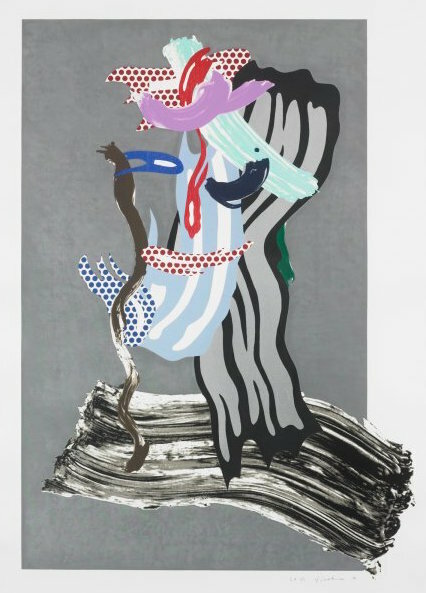 In the 1960s, Lichtenstein developed a body of work as a commentary on American popular culture, and a reaction to the recent successes of the Abstract Expressionist movement, which highlighted abstract and often subjectless canvases of artists like Jackson Pollock and Willem de Kooning. 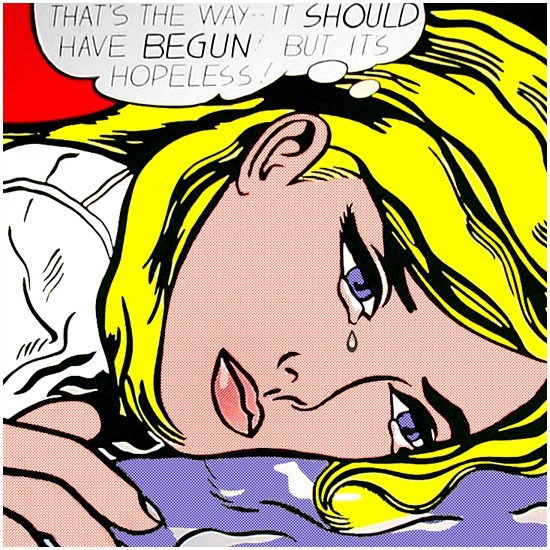 Lichtenstein did something completely different. He turned around and made bold commercial imagery the source of his inspiration — rather than emphasizing his own inner emotional life in his art as the Abstract Expressionists did, he mimicked cultural and consumerist symbols as his subject matter and used a stencil process that imitated mechanical printing. 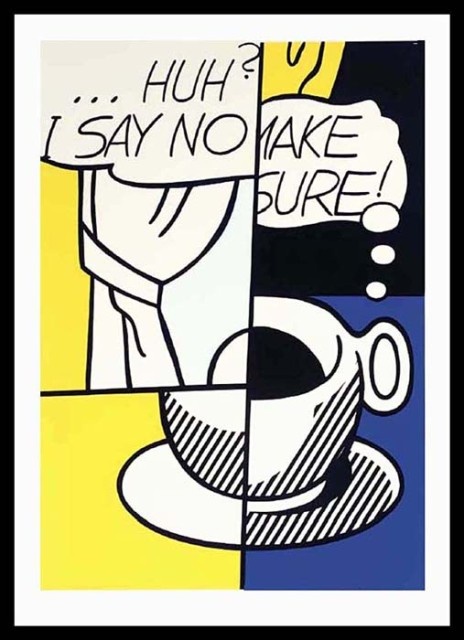 Like other pop artists of the times, Lichtenstein became known for his sly and subversive way of building a body of artwork from mass-reproduced images. His artwork provoked debate over the idea of originality in art, talk of an increasingly consumerist society, and the fine line between art and entertainment. 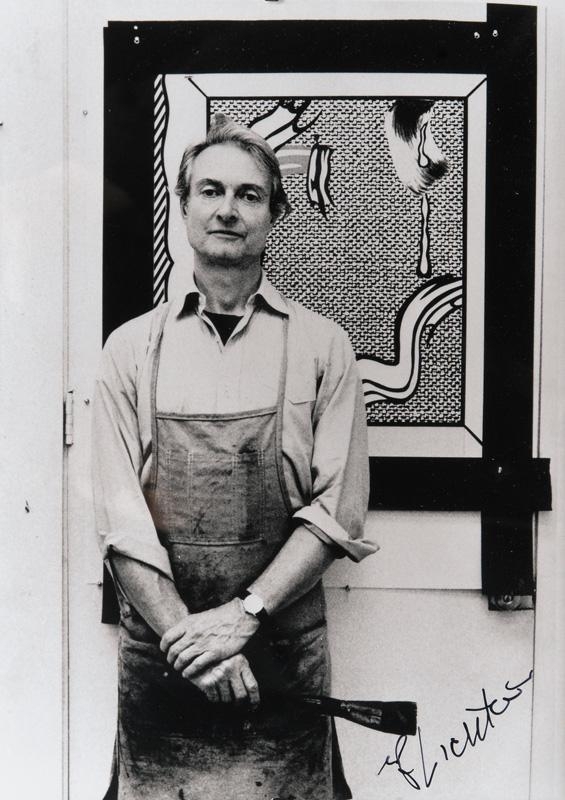 By the mid 1960s, Lichtenstein was nationally known and recognized as a leader in the Pop Art movement, alongside Andy Warhol, James Rosenquist and Claes Oldenburg. 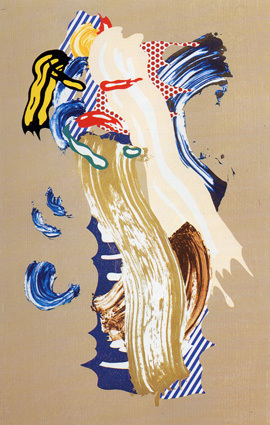 During his late career, Lichtenstein’s focus shifted back to painting. He began painting with bold brushstrokes accented with commercial and graphic characteristics. During this time, in the late ’70s, ’80s, and ’90s he referred to the art of early 20th century masters like Picasso, Matisse and Dalí. He mixed the styles of these masters with his trademark, cartoon-like style, and also began working in sculpture. 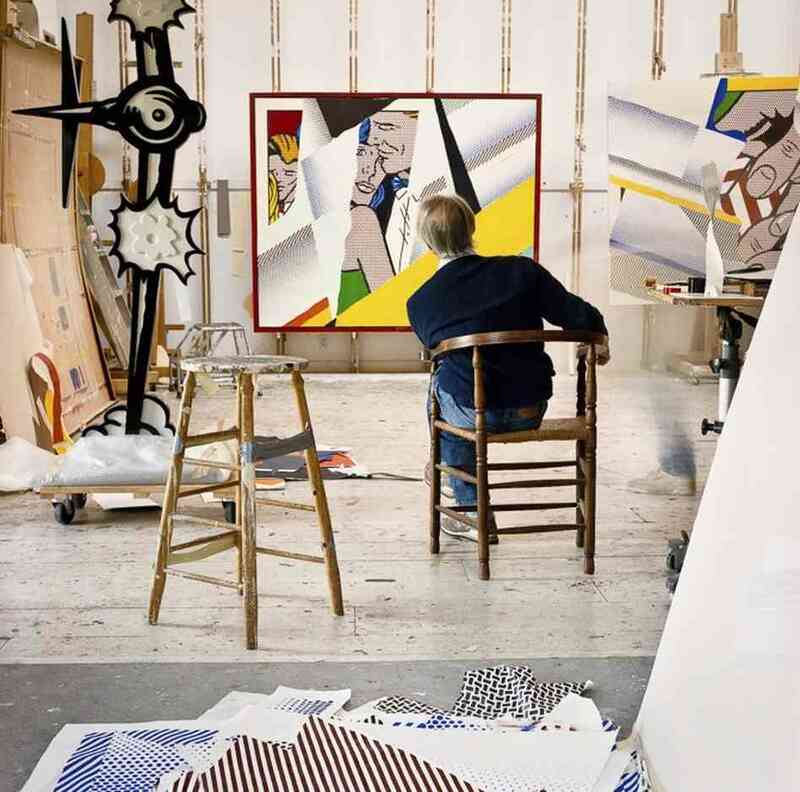 Lichtenstein committed himself to his art until the end of his life, spending hours on end each day in his studio, displayed below. 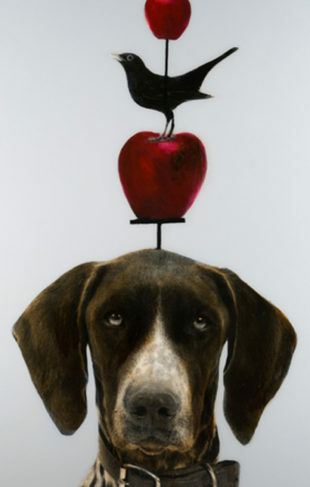 His work can now be found in major museums and personal collections around the world.